A couple of weeks ago, Stephanie picked up some fuchsia plants at the Fred Meyer fuchsia event. She got a great 2-for-1 deal on these attractive planters, which are so much nicer than the plastic pots that came with the last fuchsias. They really add a lot of interest to the front porch. We just updated the front our home with hanging plants. 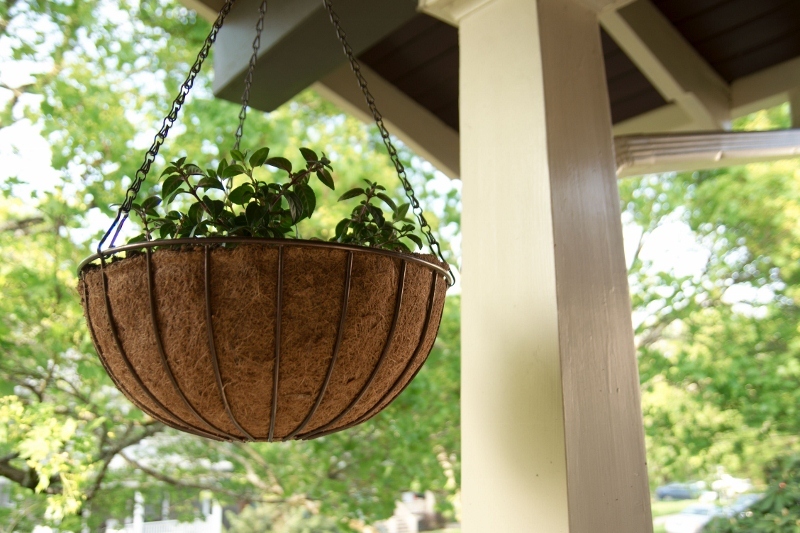 We found that choosing the right pots was just as important as the plants we chose. Ours look very similar to the one in the picture, and they look great with the ferns we added. There are also some flower boxes I’ve seen that are very similar, and we’re considering adding them as well.